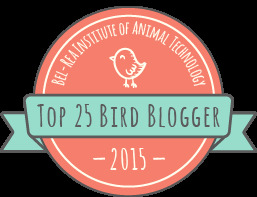 Philly Bird Nerd : Did I Mention the Owls? One of the main targets for the trip to Utah was Flammulated Owl. These little owls are related to Screech Owls and found out west. 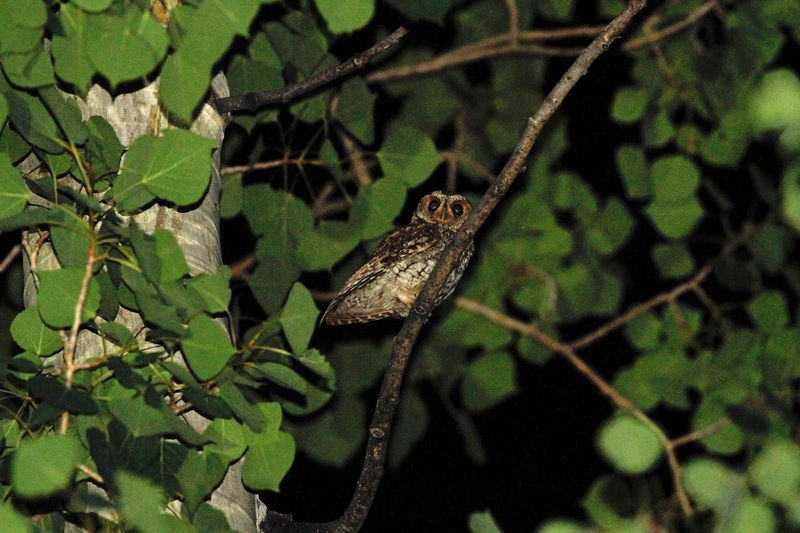 Our tour guide, Tim Avery is an expert on these owls and took us to the mountains to find a few on our last night. But before we got to that, we saw other owls on the trip. 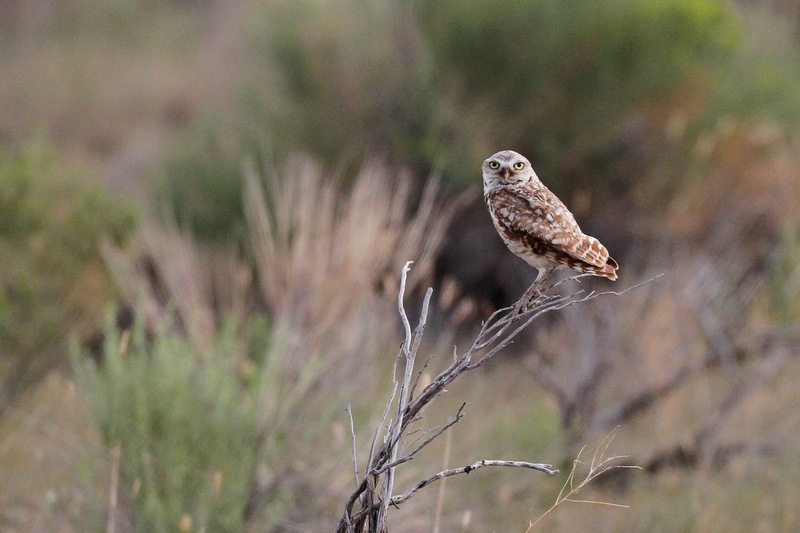 We found a few Burrowing Owls out in the fields. This one sat up on a dead stick for us. 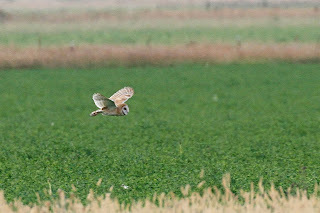 The biggest surprise were all of the Barn Owls that we saw. While looking for the Gray Partridge, Tim told us to get out of the van and walk along the road in case there were partridges in the weeds. He figured that they would react to us more than the van. He parked at the end of a farm field while we walked. There was a row of pine trees along the road. 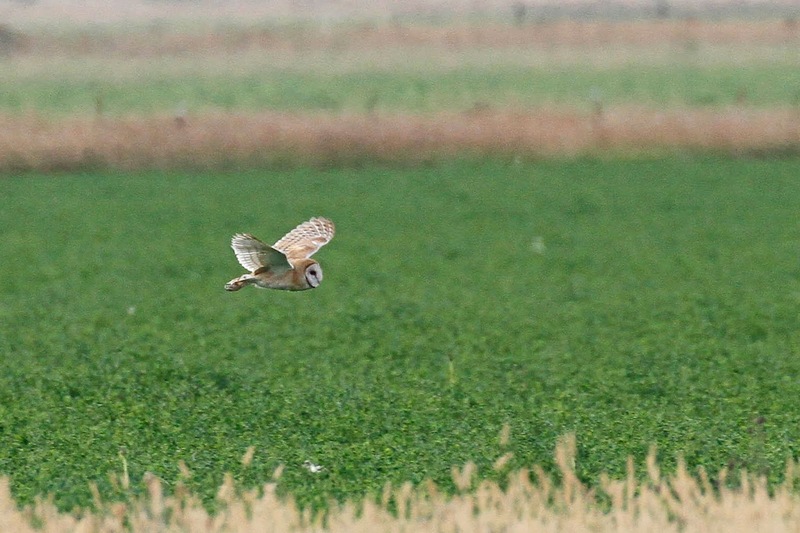 When we approached, an owl flew out into the field. Then another owl flew out. And another one, and another one, and another one, and . 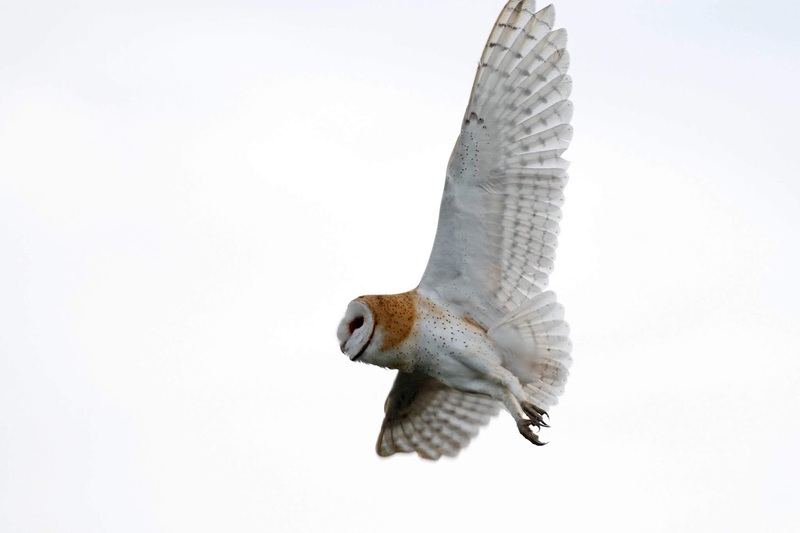 . . a total of 10 Barn Owls flew out as we walked past. I caught a photo of this one as she flew above our heads. 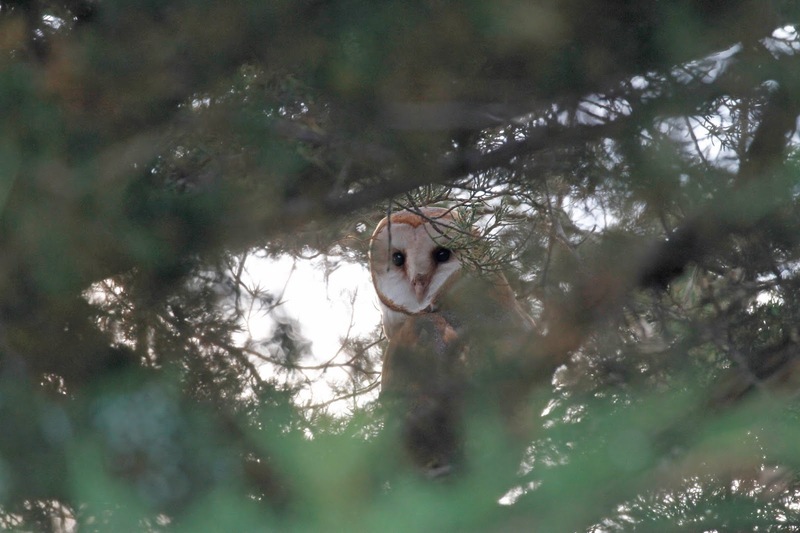 I spotted this one still roosting in the pine trees. He was nervous but held his ground while we walked past. Some of the other birders watched the owls perch in another tree. I was glued to the birds in flight. They were just majestic to watch flying over the farm fields as they headed back to the pine trees. Our guide acted like he didn't know that the owls roosted in those trees. Whether he knew or not, we all had an experience of a lifetime. The Barn Owl that we all knew about has a nest box in a hay shed on Antelope Island. After spending time watching the phalaropes, we headed to the shed to see the owls. 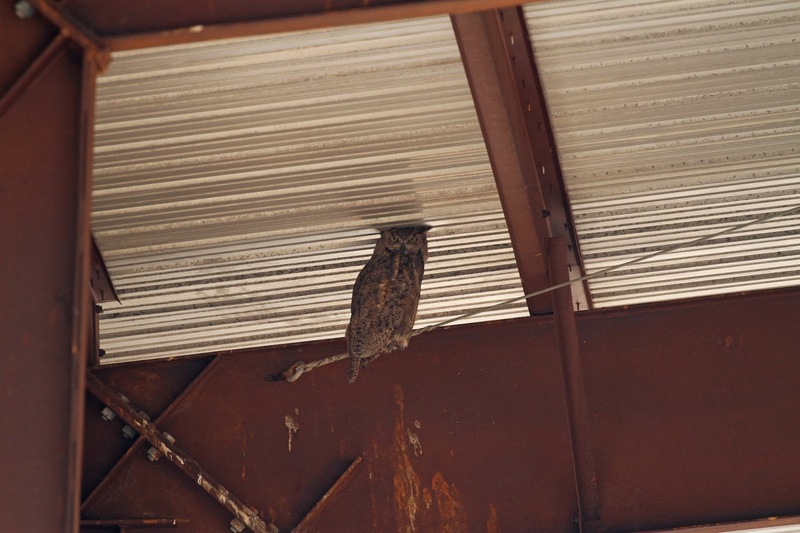 We expected to see the Barn Owl but we didn't expect to see this gal - a Great-horned Owl sitting on the beam. Her mate was also in the shed. This dumb guy insisted on sitting on a rafter that was too close to the roof. Ridiculous. 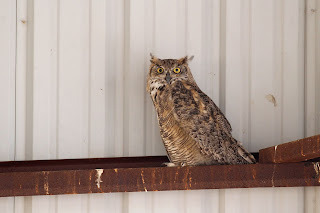 Even more ridiculous was that these Great-horned Owls share the shed with a pair of Barn Owls. This is highly unusual since Great-horned Owls usually kill anything that they come close to including other owls. Our guide told us that these 2 species co-exist peacefully presumably because there is enough food for all. 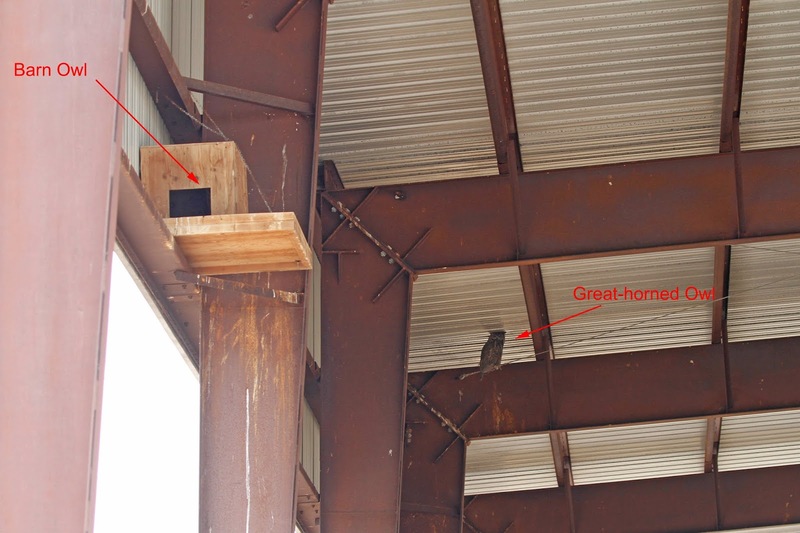 You can see the Barn Owl in the box in this photo with his neighbors just a few feet away. We finally headed out for the Flammulated Owls that evening and found many. 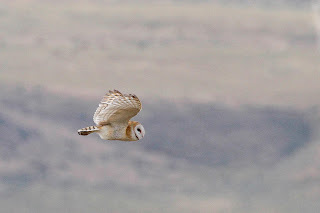 We heard about 10 owls, saw 5 and photographed 3 including this one. I was really happy to see so many owls on the trip including the uncommon Flammulated Owl which was a life bird for me and a few others on the trip.